The Concerto Competition has been underway in 2018 with 14 applications from Students on Piano, Flute, Violin and Cello. Come and join us for the winning performance by Karla Hanna in the 2018 Vera Bradford Youth Concerto Competition accompanied by the Frankston Symphony Orchestra. We will also be joined on stage by the Peninsula Youth Music Society musicians as we delight you with more exciting musical performances. 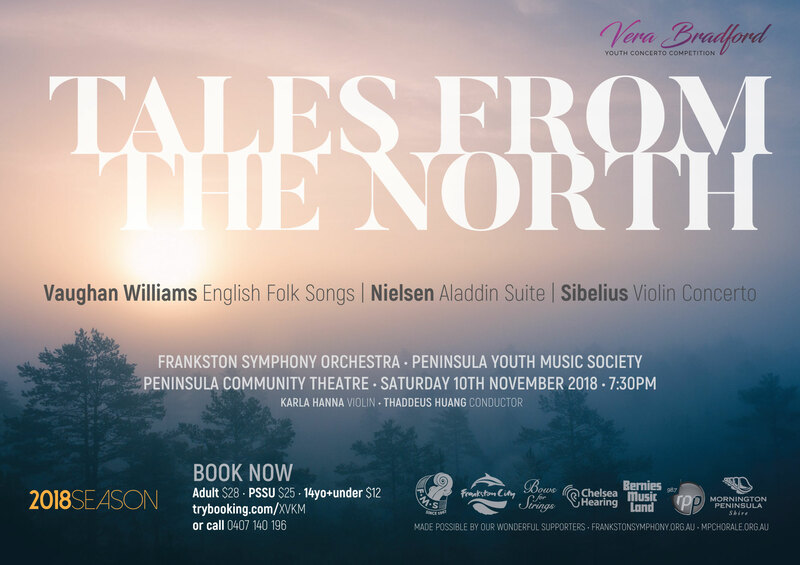 Come and join us for our ‘Tales from the North’ concerto concert on the 10th November at 7.30pm at the Peninsula Community Theatre, Mornington.